When you have an emergency, don’t hesitate to call JC Plumbing. Being a locally owned and operated business, our team understands the importance of treating all of our customers with dignity and respect. From small issues like like detection to potentially larger issues such as a sewer line needing to be repaired, there’s nothing we can’t help you with! To speak with one of our friendly receptionists, call (479) 316-2674 today! Plumbing problems in the home or business can be extremely stressful and disruptive to your daily activities. Finding a good local plumber, especially when you have an emergency can be a rather daunting task. The good news is that JC Plumbing can do all the repairs and maintenance necessary to keep your plumbing system in perfect working condition. Having been in business since 2002, we have developed a reputation for doing quality work in a timely manner. JC Plumbing is a verified, approved and a top rated plumbing company by Home Advisor. We live up to this achievement by always providing the kind of excellent service expected by all our customers. We provide our plumbing services throughout Northwest Arkansas, including the surrounding areas of Springdale, Fayetteville, Bentonville and the entire area of NWA region. We offer a wide variety of plumbing services in all the above areas, including water leak detection and repairs, drain cleaning, installation of tankless water heaters, re-piping, general repairs and replacements, water softener and filtration systems, gas line services and a whole lot more! JC Plumbing will even assist with the re-modelling of your kitchen! 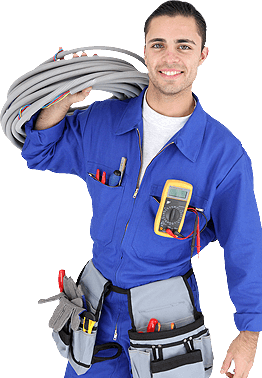 We understand that emergencies can happen at any time, so we do our best to make sure that a trained technician is available at any time of the day or night, all through the year. We know how important it is that you get back to normal life as soon as possible, so we will arrive on time and complete the job at your home or office as quickly as possible. While we pride ourselves in getting the job done right the first time, we won’t disappear on you if the problem still exists after we leave. Just give us a call, and we’ll send someone our right away. Our company has gained invaluable knowledge during all the years that we have been in operation and our aim is to use this extensive experience to provide a service that is 100% effective and efficient to all our clients. Our quotations are always honest and provided before commencing work. We deliver excellent workmanship and we believe you will be hard-pressed to find a customer service better than ours. For the best in class, give JC Plumbing in Rogers a call. There’s no problem too big or small that we can’t help with!